One of our core areas of expertise is in the area of feasibility studies. 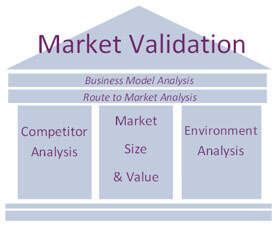 We provide strong, research-based market entry strategies for new and growing businesses. We use our strong background in research, consulting and mentoring to help clients validate a market opportunity, making the most of the opportunity and avoiding unknown problems and pitfalls. Uniquely, we utilise market intelligence to its fullest, matching it with a deep understanding of our client’s own business, to develop a sound and actionable market entry strategy, whether this be to new areas of business or to new, geographic export markets.